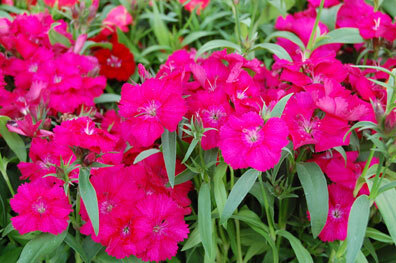 Dianthus are great fillers in hanging baskets and “color bowls” (mixed plants in pots) and can make a lovely border in a flower bed. They grow in soft green mounds and bear short-stemmed heads of lightly scented, fringed flowers — single to double — in white, pink, red, and bi-colors. 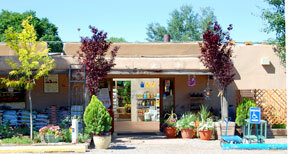 They need regular watering and a well-drained, composted soil. Bees and butterflies love them! While dianthus can be a perennial in some climes, they are biennial here which means they bloom again in their second year and then die. So they last longer than annuals, but it won’t keep blooming year after year like a perennial.